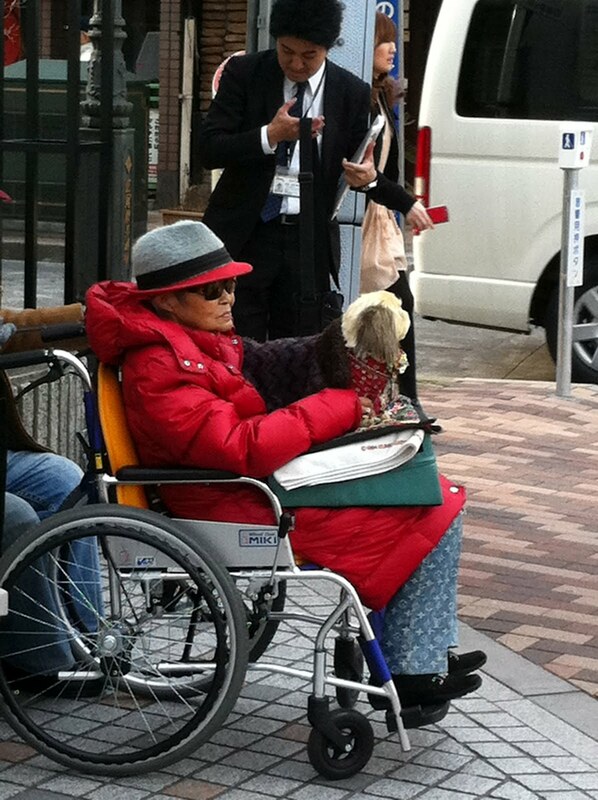 The scene I am about to recount for you may be the weirdest thing I have seen in Japan yet. You might want to sit down. A week ago Saturday was the quintessential spring day -- the kind we wait for all year. The sun was shinning, the cherry blossoms were nearly peaking and everybody was out for a stroll, including us. 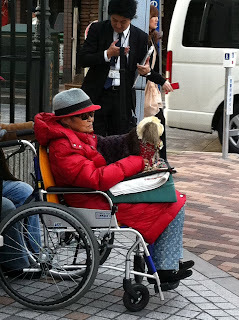 At Hiroo Crossing, we noticed an elderly woman in a wheelchair with her dog on her lap and her husband hovering behind her protectively. Initially, we just kept walking. Yet something was slightly off about this scene. Something made us turn around and look again. At a glance, her shih tzu looked very realistic. Its size, shape and overall appearance were those of a real dog. But its fur was unnaturally stiff and bristly, its eyes had no expression and its body was completely unmoving. It was then that we realized this dog was no longer living. It was taxidermied! I acknowledge that my behavior probably bordered on the impolite. While David went into the grocery store, Pippi and I circled around her a few times. I did not have the nerve to snap a full-on photo but, as you will see for yourself, I did score a rather telling profile shot.